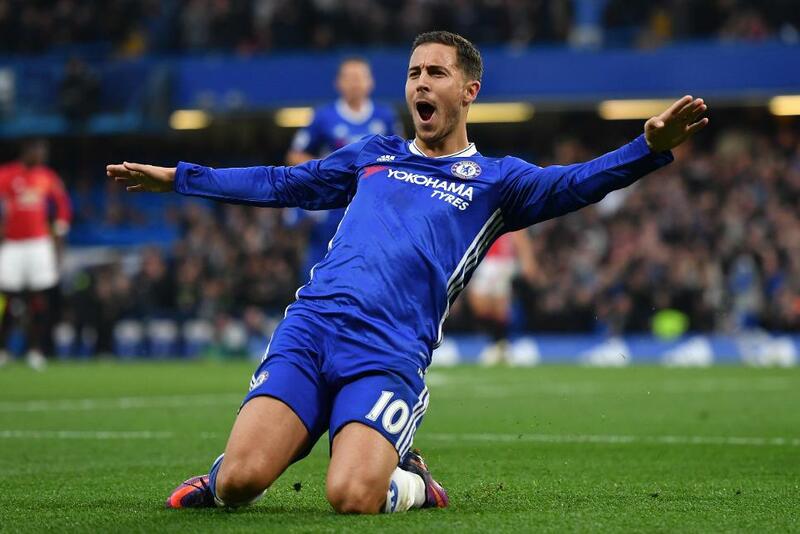 Chelsea moved up to fourth place in the Premier League table after producing a superb display to beat Manchester United 4-0 and to spoil former manager Jose Mourinho's return to Stamford Bridge. The home side had the perfect start when Pedro latched onto a long pass, took the ball around the advancing David De Gea and stroked it home with only 30 seconds on the clock - the fastest Premier League goal of the season. Zlatan Ibrahimovic headed just over from an Antonio Valencia cross soon afterwards but Chelsea doubled their advantage on 21 minutes, defender Gary Cahill firing in when a loose ball from a corner fell into his path. United started to exert some pressure at the start of the second period, Jesse Lingard's shot forcing a good save from Thibaut Courtois but Chelsea soon regained control of the contest. Eden Hazard calmly finished into the corner after collecting Nemanja Matic's crisp pass while N'Golo Kante scored Chelsea's fourth, and his first for the Blues, when he drifted through the United defence and slotted home with 20 minutes to go. Courtois ensured his side kept a clean sheet when he produced two good saves late on from Ibrahimovic and substitute Marcos Rojo.